May be you are a recreational bird watcher, whose birding records will not go beyond your field notebook. Through this system you are sharing your valuable data with others who are more serious in the subject and need more data for their studies. For your point of view, your data is stored somewhere safe to refer from anywhere, whenever you need. What I like most is capabilities of analysing my own data and data of all other bird watchers. These are a very few simple data presentations I prefer as an armature birder, but you can have your own charts and graphs of your choice. Also you can download your data to an excel sheet that enables importing your data for another application. If everybody can freely submit their data, what could be the guarantee we have on data? This is also being handled by e-Bird org carefully. 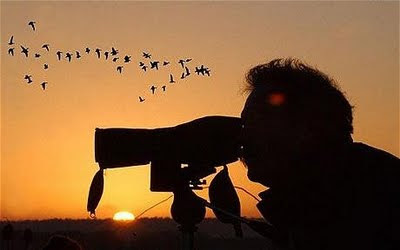 Observations submit to the system is being monitored by a (volunteer) country reviewer who is an expert ornithologist. In simple terms, if you report you observed Blue Magpie in Maradana, you will be asked to discuss and produce your field notes. I wrote this, especially to encourage non-professional birders to manage and share their valuable data. I know some, who has got very important data, but they wannish with their field note books without any trace.